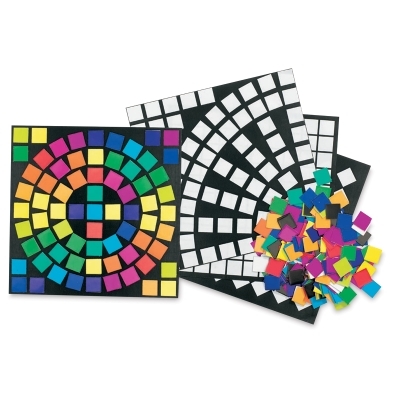 Create exciting mosaic art with versatile Roylco Spectrum Paper Mosaics. The package includes 4,000 cardstock squares in 14 bright colors, plus four reproducible grids and a guide with project ideas. Squares measure ¾". Roylco Spectrum Mosaics are a great way to introduce kids to color theory, develop math and motor skills, encourage creativity, and more. Use glue to stick down the squares.